Machu Picchu! The most famous and heavily trafficked ruins in all of the Americas. 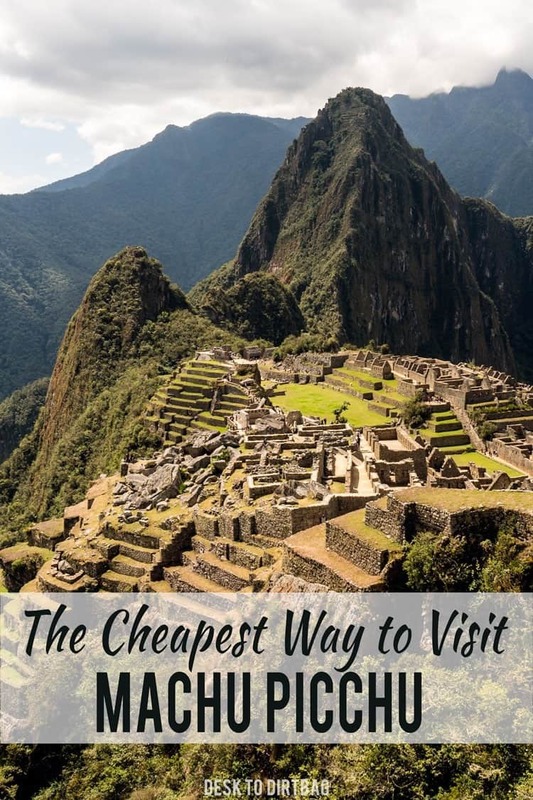 For many this place is the crown jewel of their travels through South America, but brace yourself because Machu Picchu isn’t cheap, but here’s how to visit Machu Picchu on a budget. There are many different ways to get to Machu Picchu depending on your time and budget. But if you’re reading Desk to Dirtbag, you should know that I don’t have the budget for one of those big expensive trips to Machu Picchu like most people do. 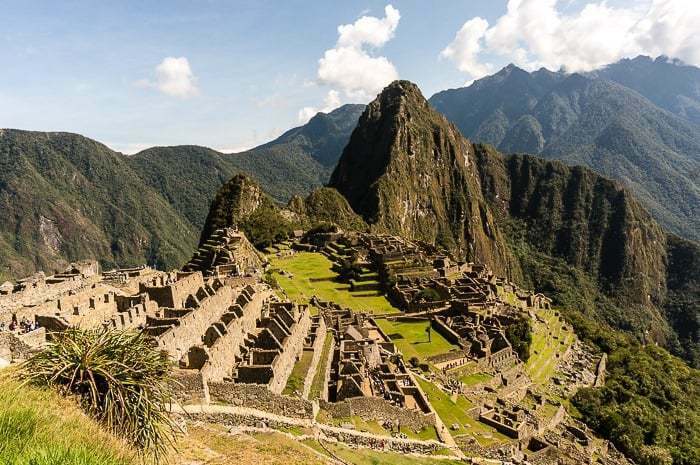 The cheapest entry ticket will set you back 152 soles ($47), no matter how you get to Machu Picchu. If you go by train you can expect to spend at least $120-$160 dollars round trip. Or WAY more. The bus that takes you to the ruins will cost another $24 round trip for a half hour ride. So is there any way to visit Machu Picchu without breaking the bank or going with a tour group? First you’ll need to get to Aguas Calientes, aka Machu Picchu Pueblo, which sits in the valley below the ruins. 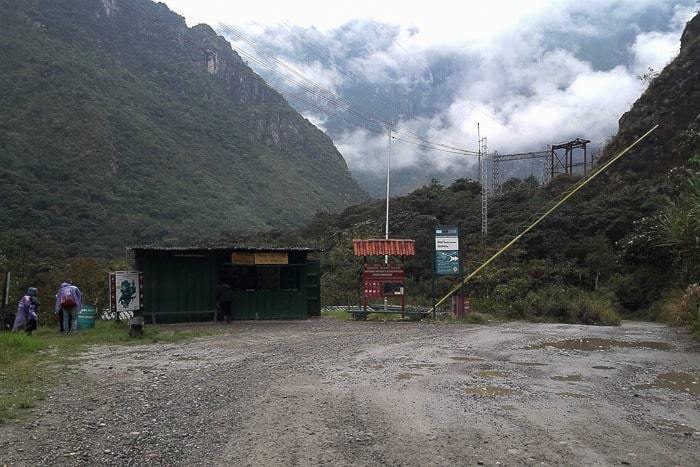 There is no public transportation to Aguas Calientes beyond the train from Poroy, Ollantaytambo, or Hidroelectrica. The train is extremely overpriced (it is said to be the most expensive train ride per mile in the world). 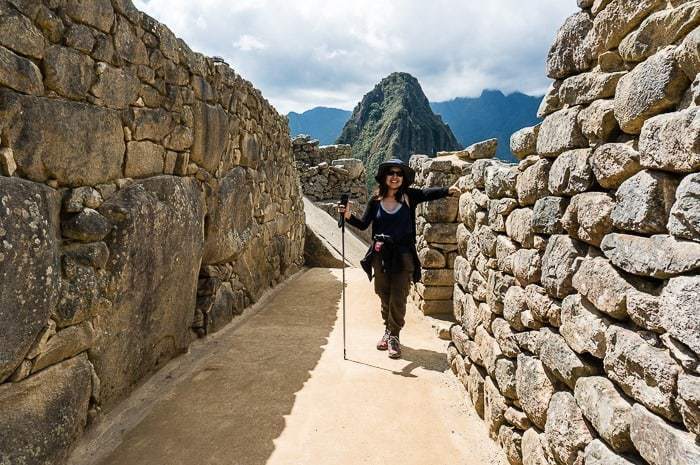 While there are reports of people hiking along the train tracks from Ollantaytambo, this is definitely against the rules and you’ll need to sneak in and try to avoid security guards. Not exactly ideal. 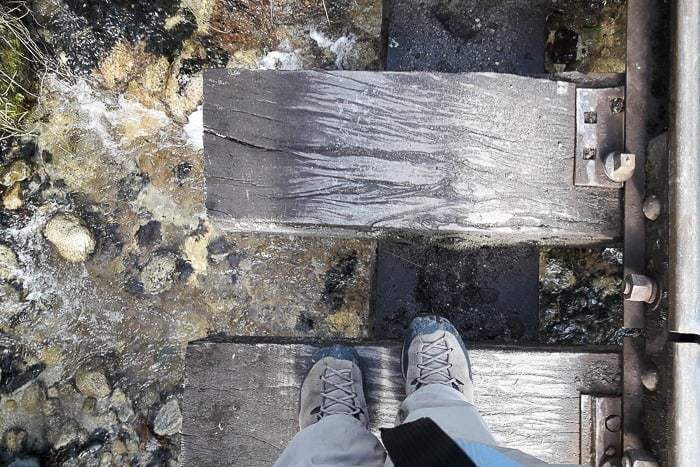 The best way to get to Aguas Calientes is to head along the back roads to Machu Picchu, via Ollantaytambo and Santa Teresa, and then hike from Hidroelectrica . You can get to Hidroelectrica via van or bus from Cusco for just 40/soles one way. The journey will take you high into the mountains, cruising above 4,300 meters, before you drop down into the humid valley below at just 1,400 meters. The ride will take approximately 7 hours but the scenery is beautiful and very photogenic. 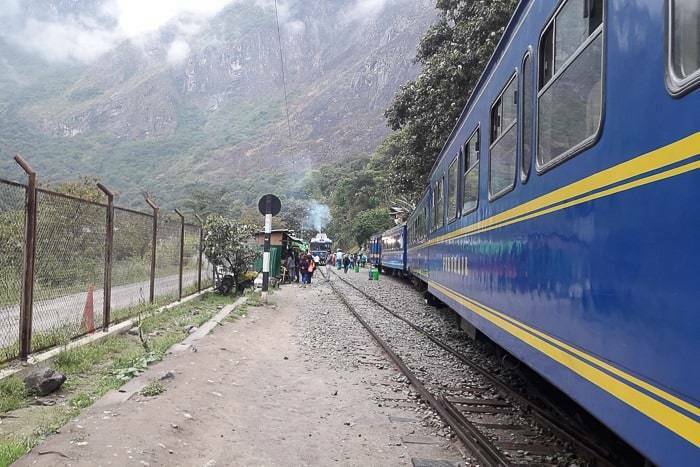 From Hidroelectrica, you will need to walk 2 – 2.5 hours along the train tracks in order to reach the town of Aguas Calientes. 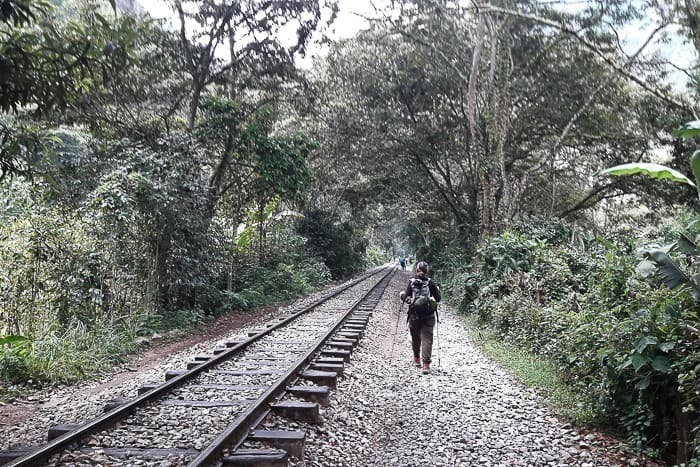 The walk is easy, with very little elevation change since you are walking beside a graded train track. Trains do occasionally pass by, but they honk loudly, and you can hear them coming from a mile away. Do NOT pass through the train tunnel near the town of Aguas Calientes, or you may get caught inside when a train passes. Instead, as you pass a small service station, you can drop down onto a road that the tourist buses use to ascend to the ruins (more on that in a minute). The first thing you will probably want to do is find somewhere to crash for the night. There are hotels and hostels on every corner. This place is extremely touristy and you will find hotels for all budgets here. You can expect to find a double bed with private bath for a couple at 40 to 50 soles ($15). It may take a little time walking around and asking, so expect to spend another half an hour if you don’t already have reservations via Booking.com. I’d heard that Aguas Calientes was a really ugly town, but I found it to be agreeable enough, albeit full of tourists, souvenir shops, overpriced restaurants, and the locals that hustle for the tourist’s dollars. But I’ve been to worse pueblos in Peru. Next you’ll want to visit the ticket office in town to secure your entry to Machu Picchu the next morning. 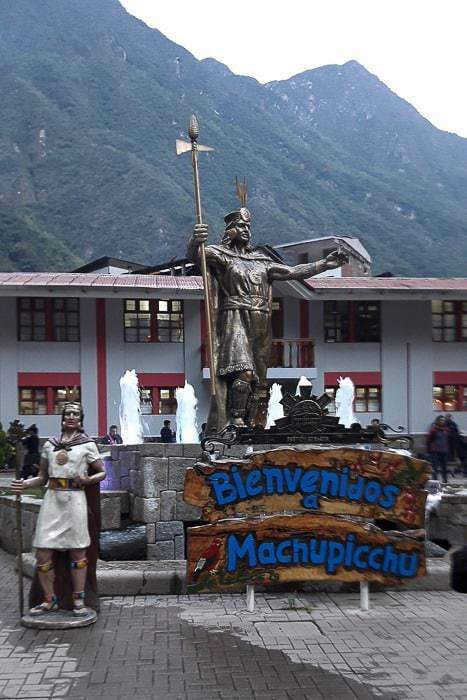 If you aren’t in the middle of high season (July and August) you can probably count on buying your tickets for Machu Picchu in the town of Aguas Calientes the night beforehand, rather than Cusco. This is preferable in case you have any travel delays or change of plans. In any case, before leaving Cusco, I would recommend asking at the ticket office downtown near the Plaza de Armas if the demand is high or whether they have plenty of tickets available for the next few days. If you can, just wait until Aguas Calientes, if not, buy in Cusco. 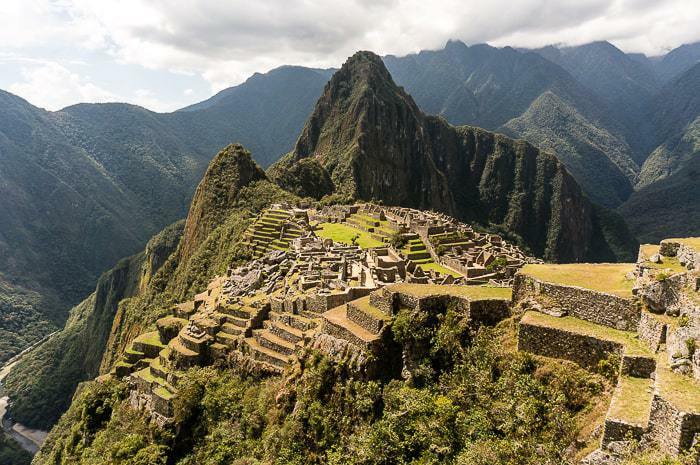 The cheapest ticket to Machu Picchu is 152 soles ($47) for a foreigner. If you want to add in a hike to Montana Machu Picchu (a big hike up to an elevation of 3,000 meters), it will cost you 200 soles in total ($61). Hiking up to Huayna Picchu is virtually impossible without a reservation months in advance. Don’t expect to be able to buy a last minute ticket for Huayna Picchu. 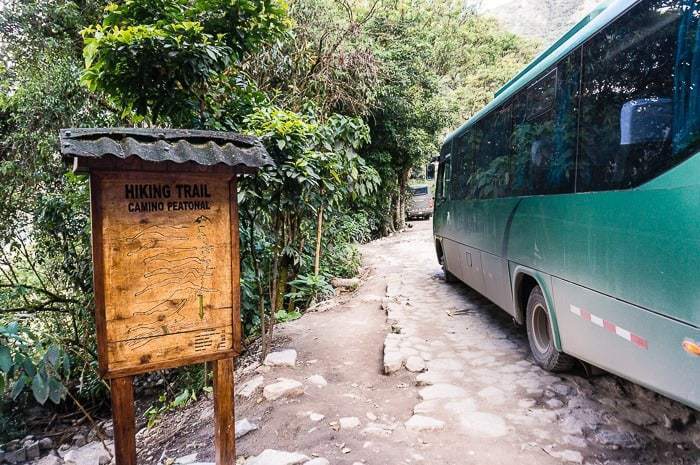 If you’re going to do Machu Picchu on a budget, you will want to avoid the bus that runs from the town center up to the entrance. It costs $12 one way, or $24 round trip. Again, probably the most expensive bus per mile traveled in the entire world. If you aren’t going by bus, you will have to hike up approximately 2,000 steps over 400 vertical meters. You’ll need to walk the 15-20 minutes to the base of Machu Picchu (flat and easy) before you start the hour to hour and a half ascent. It’s a steep hike, but it’s all nicely outfitted with stone steps and is extremely straightforward. Aguas Calientes is very expensive for food, basically triple the normal Peruvian prices. Some restaurants will also try to tack on an unadvertised 20% service charge (something that shouldn’t happen AND doesn’t happen anywhere else). Your best bet is to bring your own food for the duration of your trip. Think: cereal and powdered milk for breakfast, tuna sandwiches and chips for lunch, and instant soups for dinner, for instance. All are easily available in a supermarket. Technically you aren’t supposed to bring food into Machu Picchu, but many people bring snacks and sandwiches. It’s what I would recommend if you want to spend more than just a few hours at the ruins or would like to hike up to other points of interest. Keep in mind that there is a very expensive restaurant and snack shop just outside the entrance to Machu Picchu. These are where the only bathrooms are as well. You can only leave and re-enter Machu Picchu once during the day, if you want to use the bathroom or the restaurant (highly inconvenient). Day 1: Bus from Cusco to Hidroelectrica early in the morning, hike two hours in Aguas Calientes. Day 2: Visit the Machu Picchu ruins before dawn and hike out to Hidroelectrica the same day where you can find transport back to Cusco. Day 3: Full Day in Machu Picchu (it is least busy early in the morning or late afternoon), spend the night in Aguas Calientes. Day 4: Hike out to Hidroelectrica and then return to Cusco. 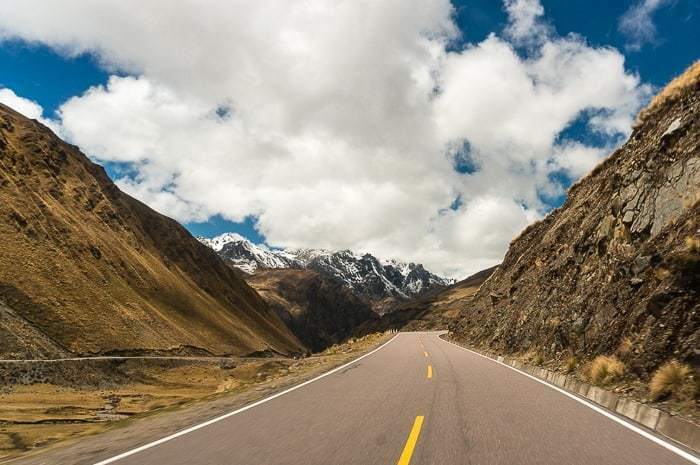 I would also recommend that you tack on a day either before or after to stop in Ollantaytambo or Urubamba at the heart of the Sacred Valley — a beautiful area — and make the trip to the Maras Salt Mines nearby. Add in a night in Santa Teresa 35 soles, another night in MP Pueblo at 50 soles, and another 30 soles in food and snacks if you are going the “Slower Way” for another $35 or $147 in total. 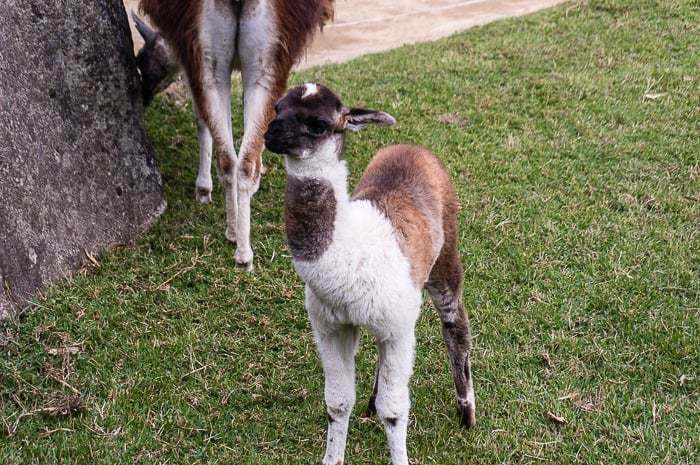 Compare that total price to the cost of a round trip train ticket to Machu Picchu Pueblo which will set you back $120 – $140, which doesn’t include your entrance ticket, lodging, or food. 1) Avoid the train at all costs. 2) Avoid the buses in Aguas Calientes. 3) Bring your own food (or at least the majority of it) with you to Aguas Calientes and Machu Picchu. Machu Picchu is a must visit in Peru. But it is also extremely overcrowded and not nearly as magical as you might be lead to believe — primarily due to overcrowding and the sheer number of people grabbing for tourist dollars in the surrounding area. I do NOT think it is worth it to visit Machu Picchu if it’s going to cost you an arm and a leg, but it’s definitely worth it if you’re going the budget way, where the incredible journey is also part of the adventure. Traveling to Machu Picchu Pueblo on your next trip? Book the perfect room on Booking.com today! Wish you could travel more? Click me to grab my free resources for affordable, long-term travel. Thanks ! Would you recommend spending the night in Aguas Calientes ? Yeah, I would. I mean logistically it makes the most sense to spend the night there and then head up to Machu Picchu early. If not it would be a pretty long day. The town itself is touristy, obviously, but pleasant enough.